We woke up in a hotel room the morning after two of our three kids, Lulu and Leo, had been murdered by their babysitter. The night of their deaths had been a nightmare, the kind you want desperately to wake up from, but it keeps hitting you that you can’t and you never will. When you wake up the first morning to a new and terrible world, what do you do? I didn’t feel like I’d ever want to do anything ever again. But then little Nessie, our surviving child who was not yet four years old, looked at me and said, “Daddy, I’m hungry.” And I knew I had to take care of her and Marina. For a mission-oriented person whose world had been shattered, having forward motion and purpose was absolutely critical. I made sure Nessie and Marina got food, asked some close friends and family for help, and then made lists of things that needed to be done: trauma psychiatrists, clean clothes, memorial service, care for our beloved dog, and so on. I also hit the books. I’ve always liked research and, with the unmoored feelings after traumatic loss, reading gave me solid things to hold on to. Reading helped me feel less alienated and alone. There’s nothing quite like violent loss to make you feel as though no one can understand what you’re going through. But, unfortunately, many people have gone through as much or worse. Among many powerful books, I discovered the writings of Thich Nhat Hanh, a Buddhist monk who had survived torture during the Vietnam War to become one of the world’s great teachers. His book No Death, No Fear changed me and I find new insight and comfort each time I re-read it. When translated to loss, interconnectivity—the core teaching of the book—is profound. "When we lose someone we love, we should remember that the person has not become nothing. “Something” cannot become “nothing,” and “nothing” cannot become “something.” Science can help us understand this, because matter cannot be destroyed—it can become energy. And energy can become matter, but it cannot be destroyed. In the same way, our loved one was not destroyed; she has just taken on another form. That form may be a cloud, a child or the breeze. We can see our loved one in everything." Since Lulu and Leo died, we’ve had two more children, Felix and Linus, who are smiling, laughing evidence of this wisdom. They, along with strong Nessie, are genetically and spiritually half Lulu and half Leo. One of the big items on the to-do list in those early days was to create a nonprofit foundation. Marina and I shared the creative impulse to do something constructive in the face of the destructive effects of violence. It’s an act of positive defiance. 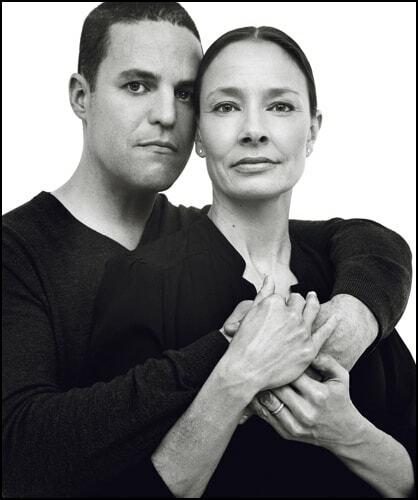 We started the Lulu & Leo Fund in those early days to honor their creative, too-brief lives. It’s now become a major initiative: Choose Creativity, a curriculum-based call to action that empowers children and adults with the skills and confidence they need to have resilience in the face of hardship and to thrive in an ever-changing world. Kevin Krim is a father and veteran digital media executive. Kevin is currently building a media data start-up and recently served as general manager and senior vice president of CNBC Digital. He has also served in leadership positions with Bloomberg, Yahoo!, LiveJournal.com, LookSmart Ltd., and McKinsey & Company. Kevin is the co-founder and chairman of the Lulu & Leo Fund and ChooseCreativity.org, which has grown into an inspirational movement in memory of two of his children. Kevin earned an A.B. in economics from Harvard College. He lives in New York City with his family.